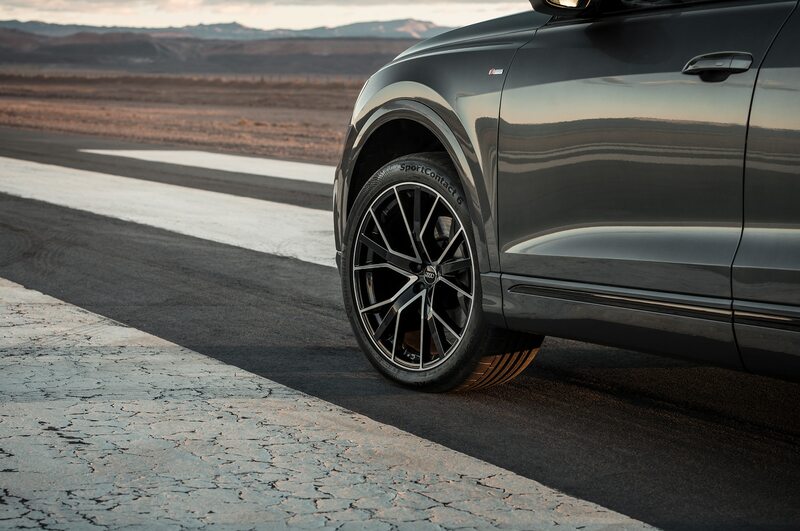 Of course, we drove it anyway. 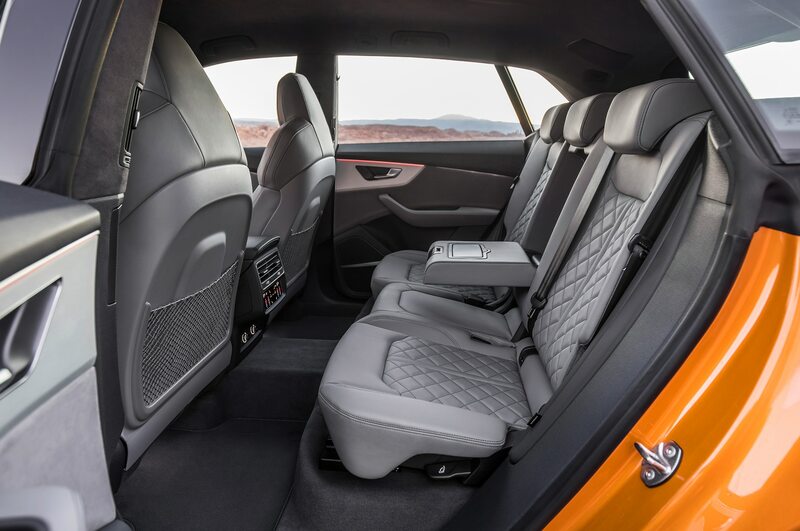 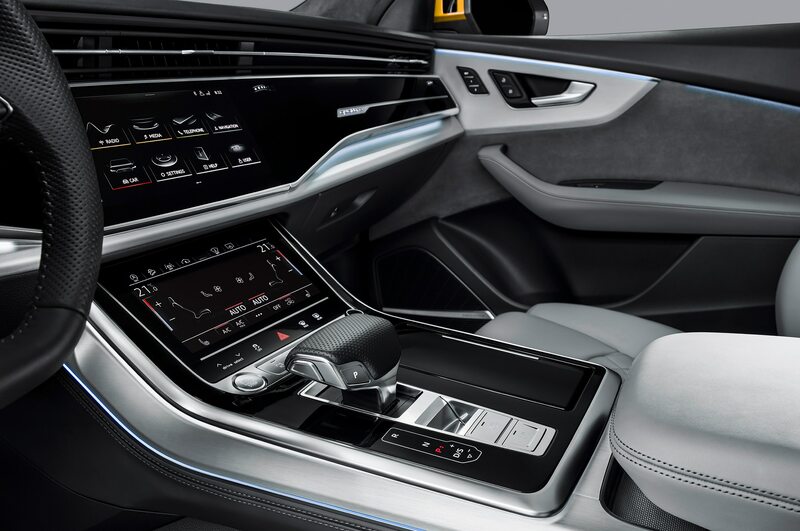 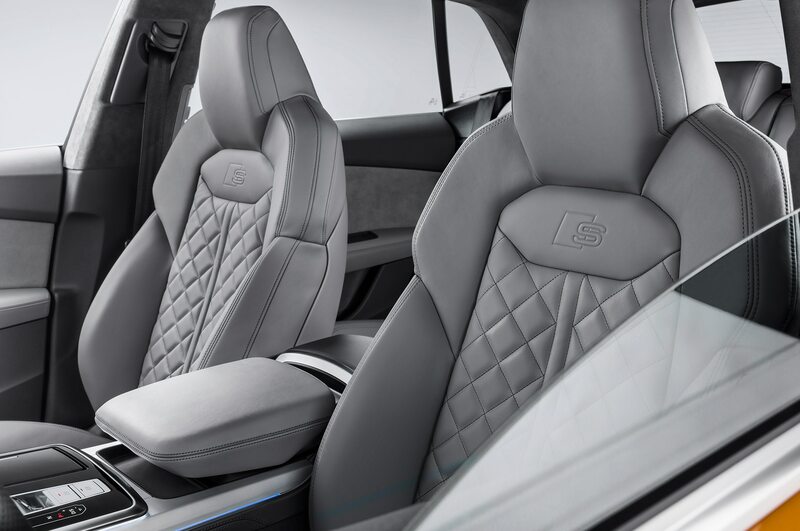 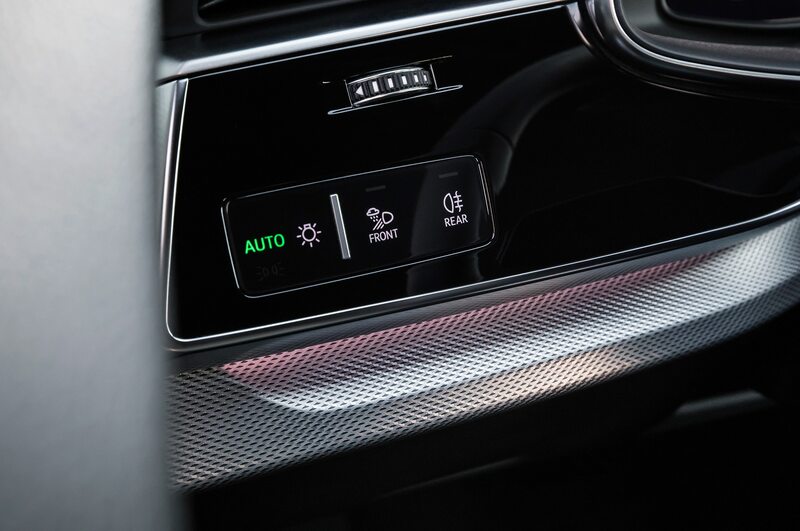 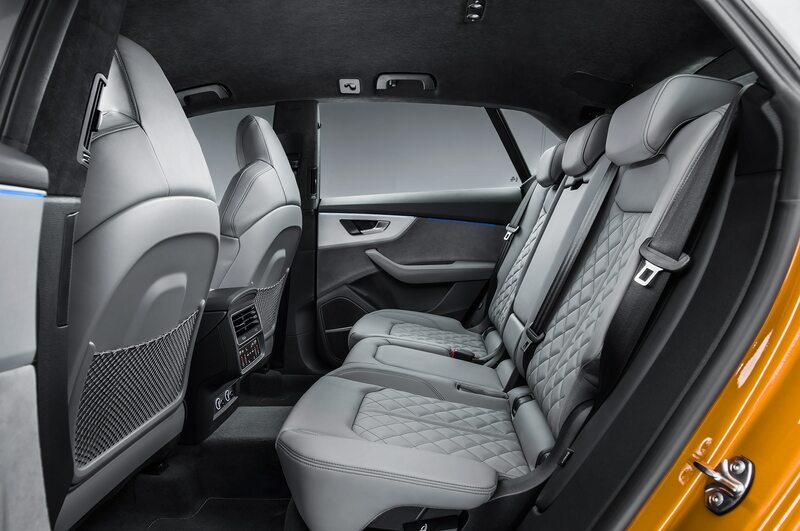 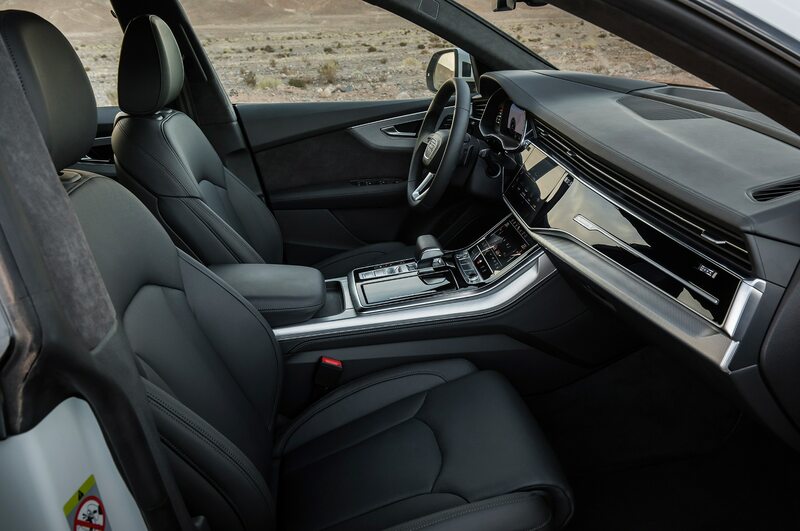 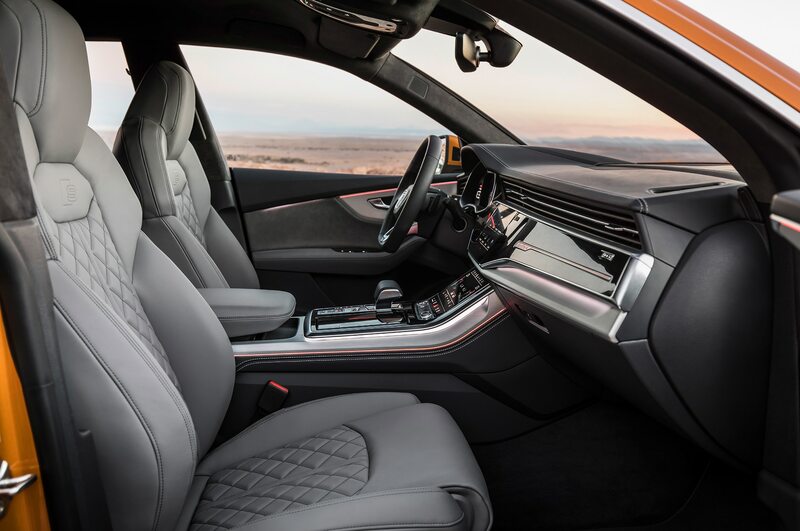 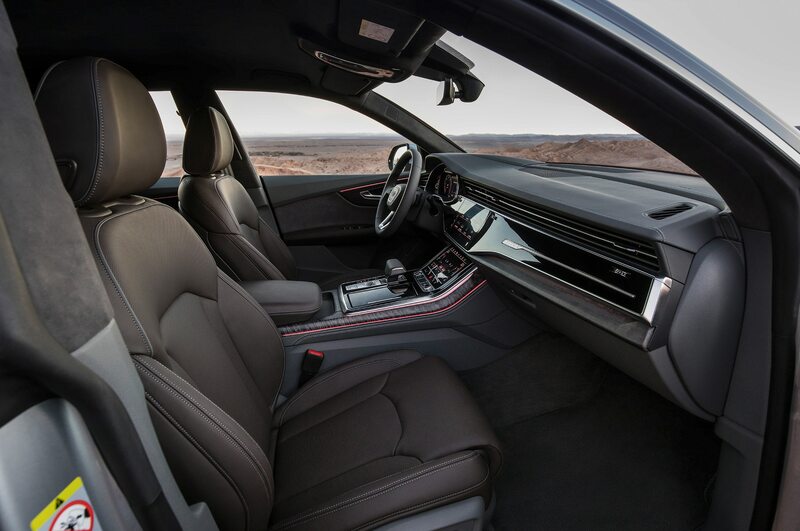 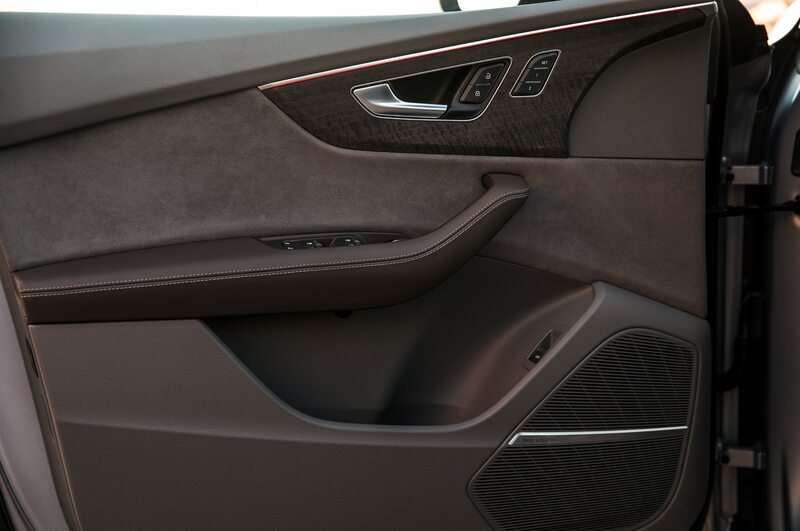 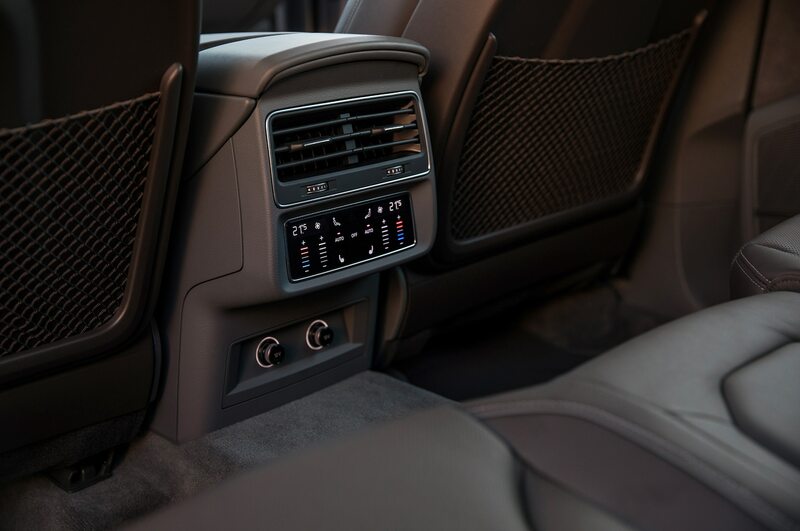 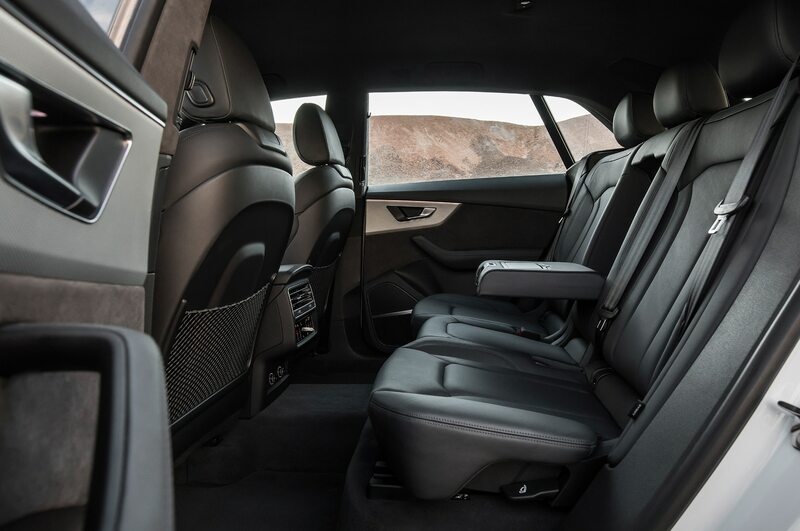 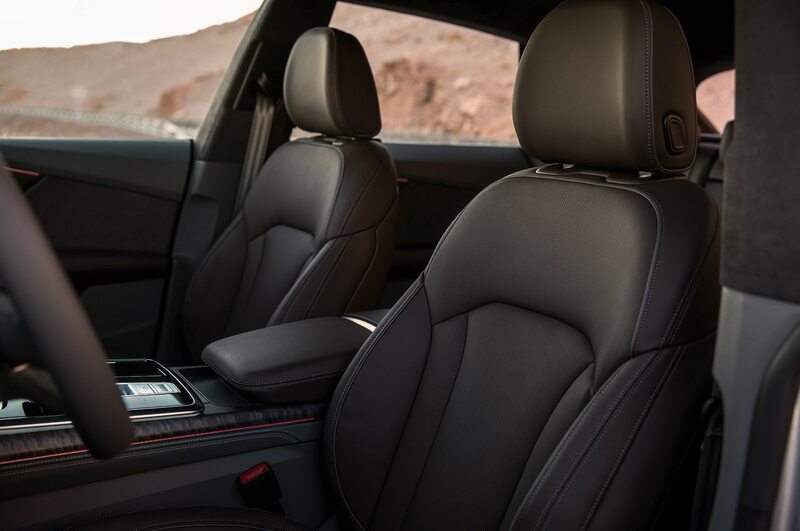 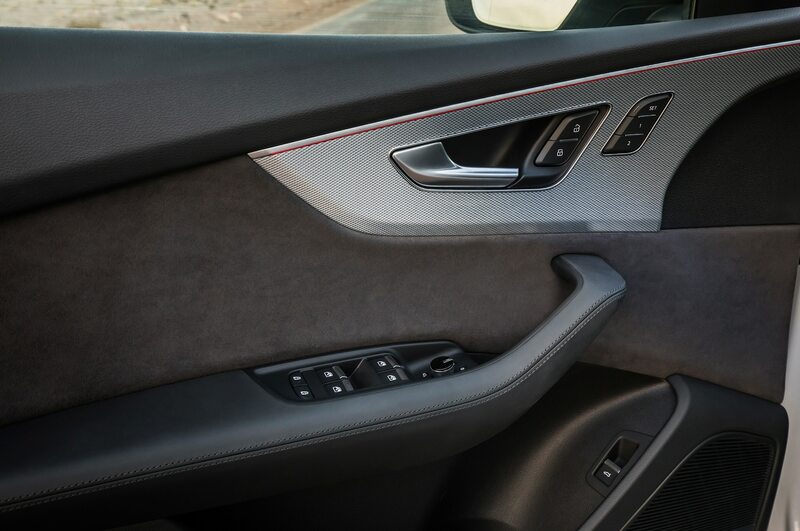 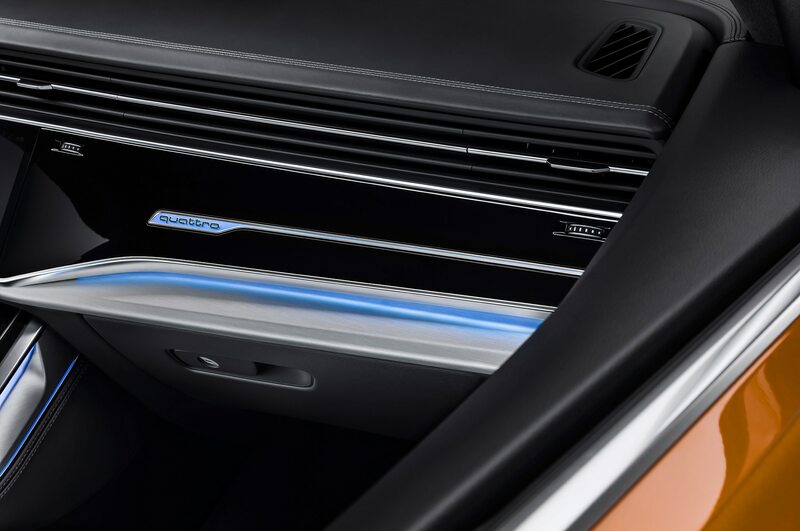 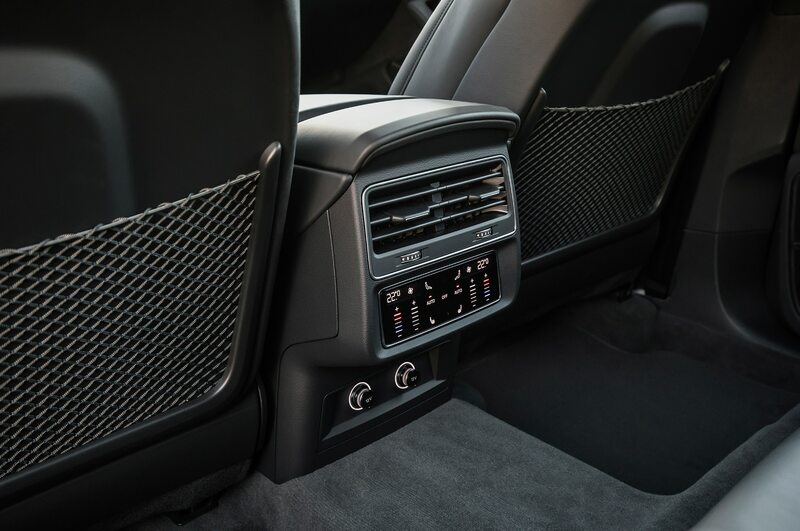 If you like the look outside, you’ll love it inside, where the Q8 features the latest two-screen iteration of MMI as seen in other recent Audis. 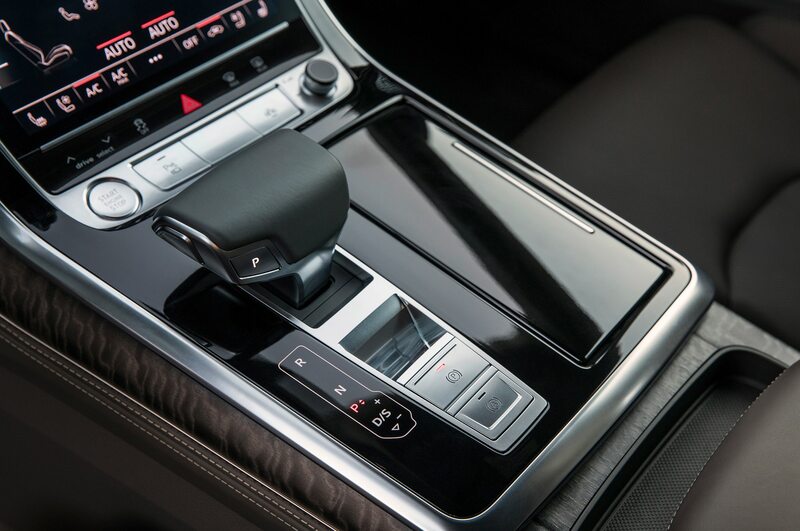 Differences in trim and a “monovent” on the upper section of the dash set it apart from the mechanically similar Q7 and other recent Audi designs. 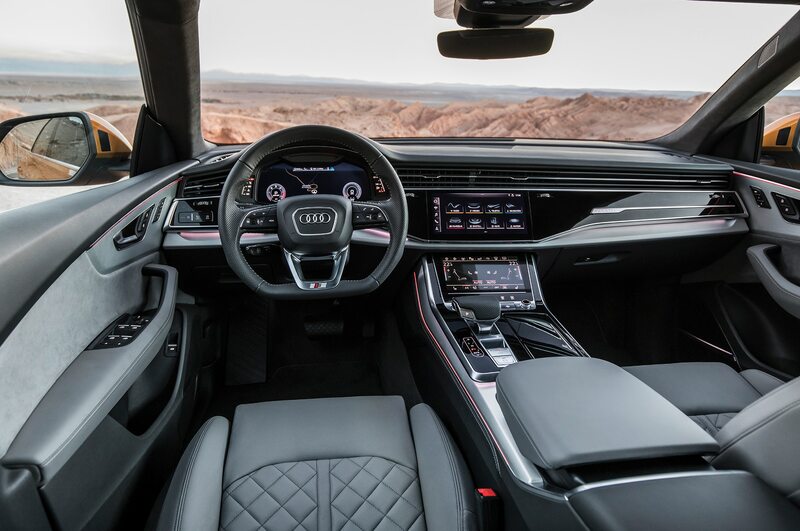 The Q8’s dash has been designed to optimize the black-out effect so that it looks like the monolith from 2001: A Space Odyssey when the ignition is shut off. 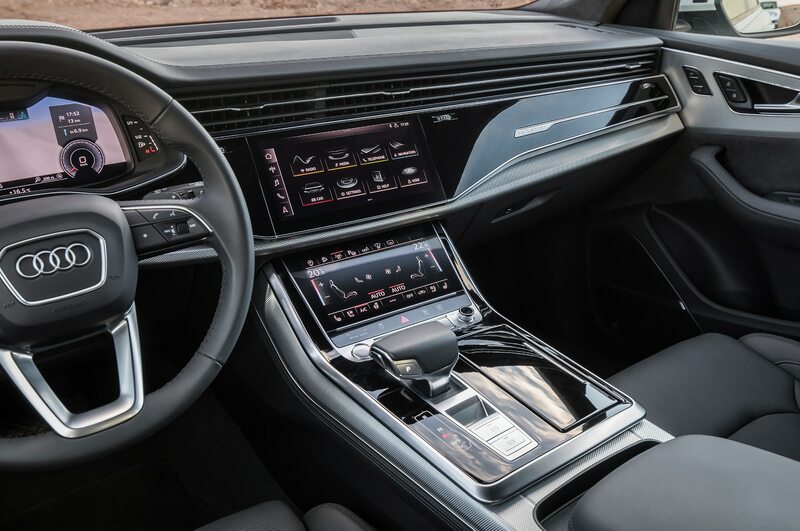 Perhaps someday we’ll chuckle at the quaintness of this, as we do today at the square steering wheels in ’60s-era Chryslers, but for now, it simply looks cool. 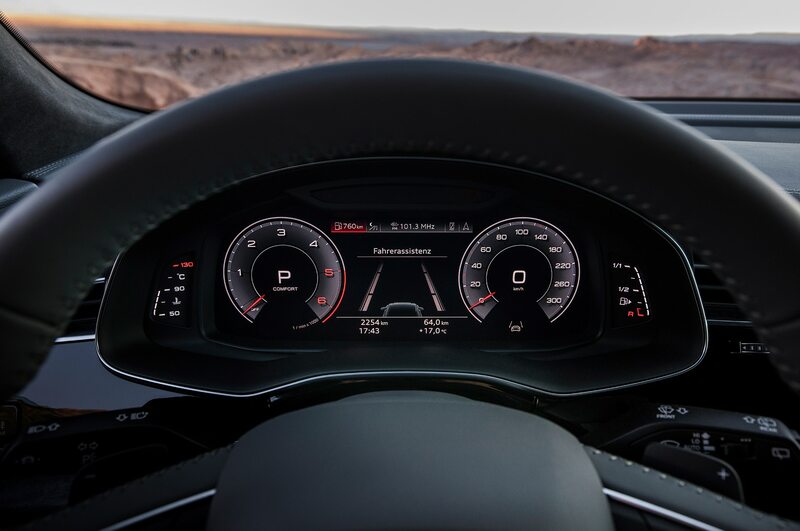 But then there’s the Virtual Cockpit, which projects a photo-realistic map right in front of the driver, between digitally-rendered gauges. 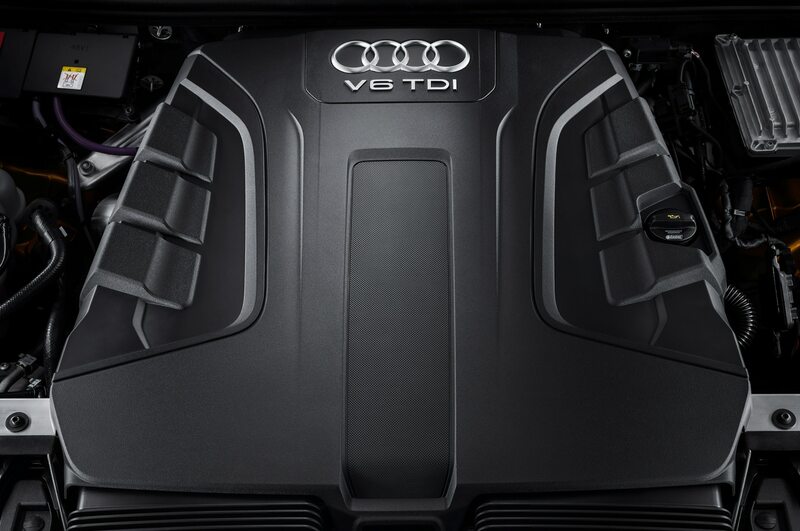 All is forgiven. 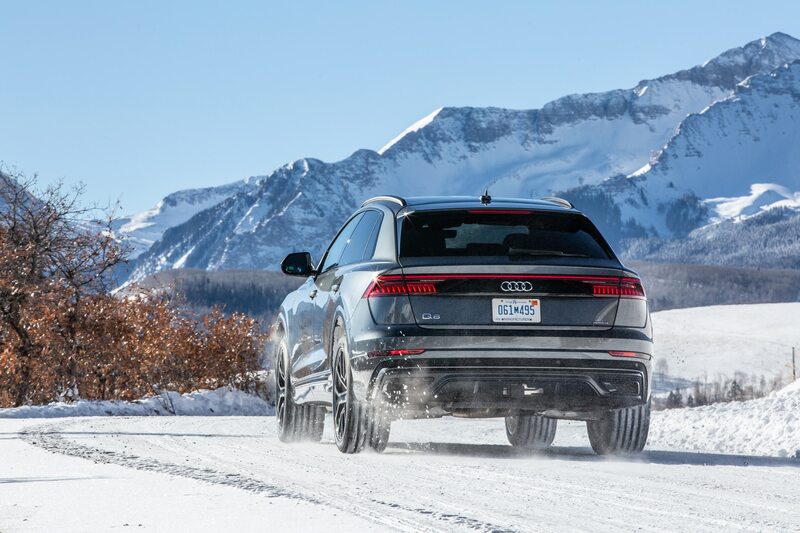 Our drive was a notable departure from the usual press-junket fodder: Audi sent us on a lengthy road trip through Utah and Colorado in the dead of winter, where the predominant road surfaces were snow, ice and dirt, and Audi fitted snow tires to augment the surefootedness we’ve come to expect from Quattro all-wheel drive. 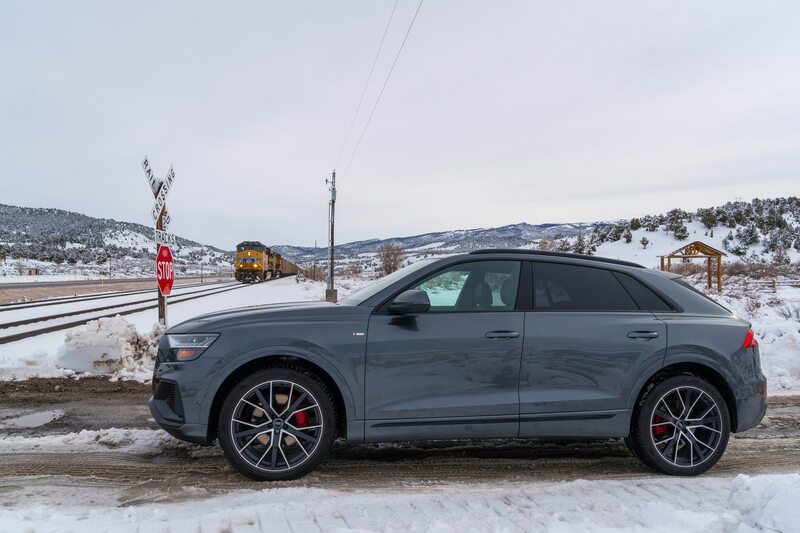 In these days of ubiquitous AWD, it’s hard to remember what a novelty Quattro was when it first appeared, Still, we know that even today not all such systems are created equal and we were impressed by how well the Q8 handled those unpaved surfaces. 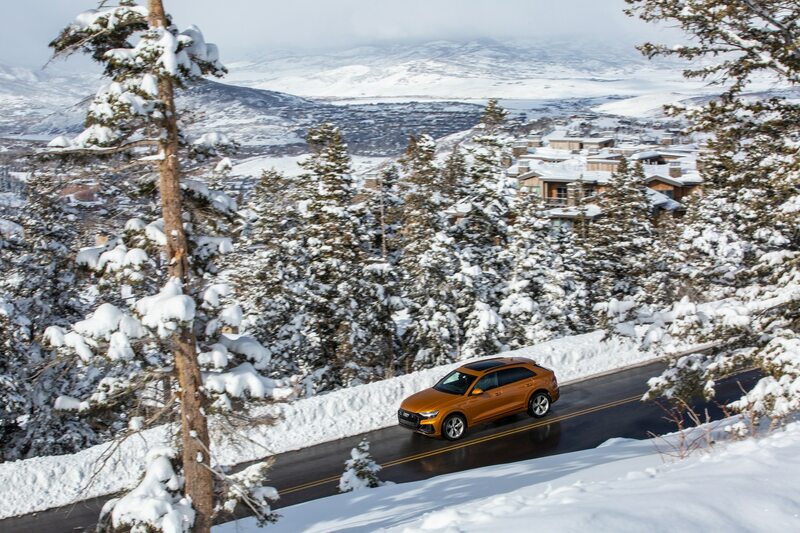 We started our journey in Salt Lake City, some 4,200 feet above sea level, overnighting in Gateway, Colorado, at 4,600 feet, then climbing to 8,750 feet for our last night in Telluride, Colorado. 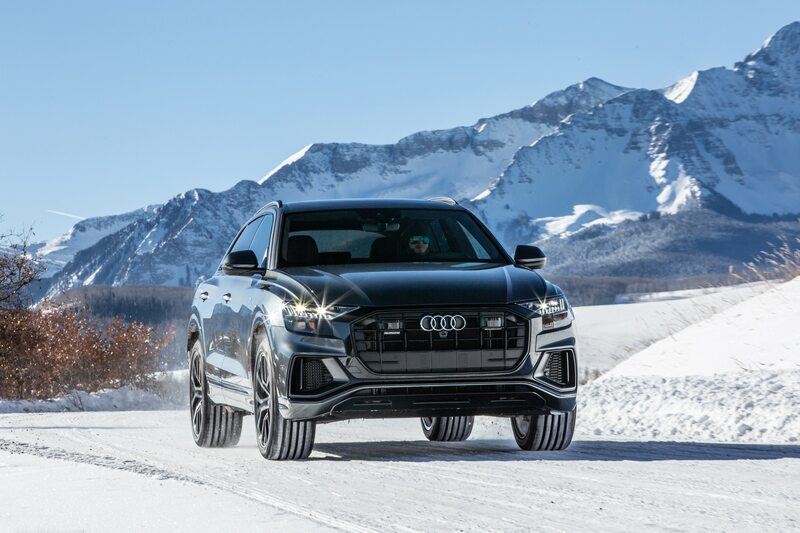 We know the Q8’s 3.0-liter turbocharged V-6 (here tuned for 335 hp and 369 lb-ft of torque) to be a strong puller, but turbocharging notwithstanding, these altitudes will sap the power of any engine. 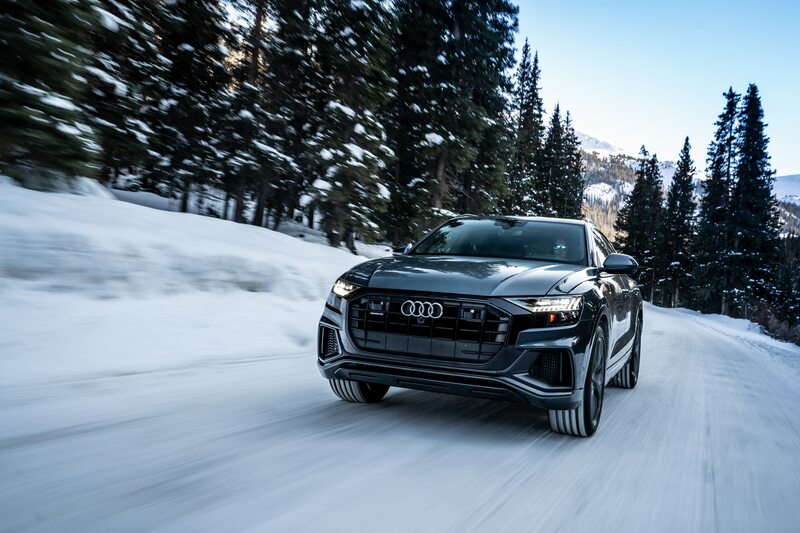 I was impressed with the pull, but I’m eager to try the Q8 back home at sea level in Los Angeles to see what it can really do. 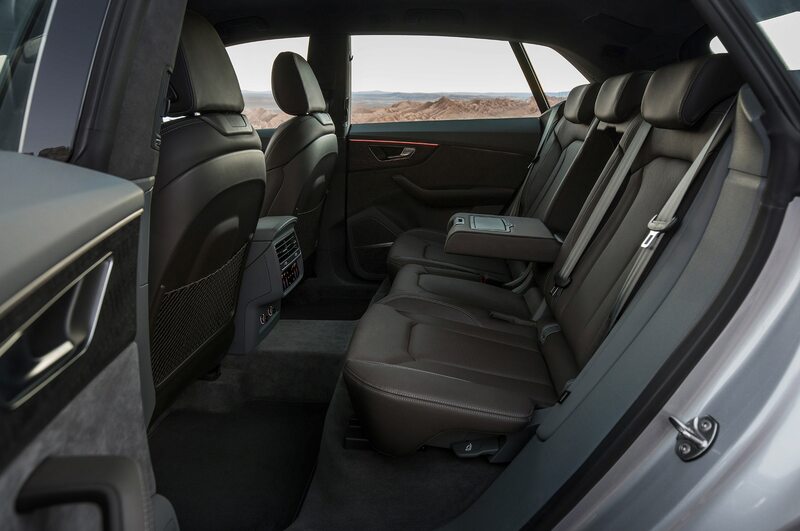 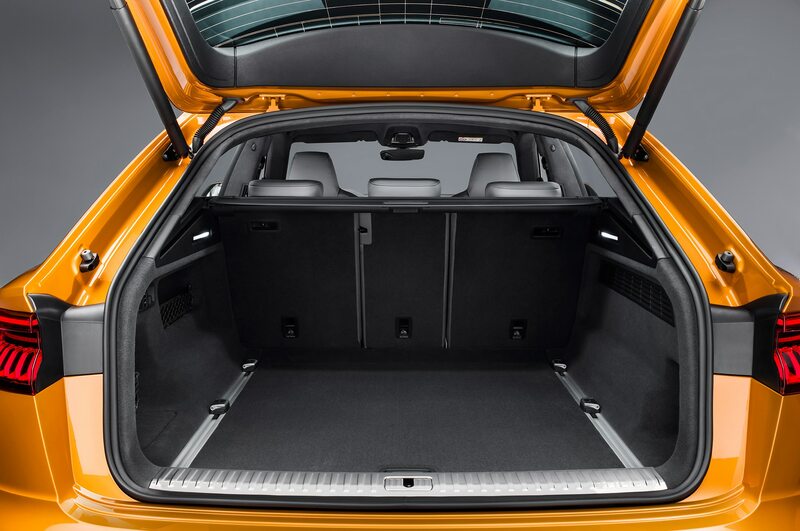 But how long will the Q8 retain its exclusivity? 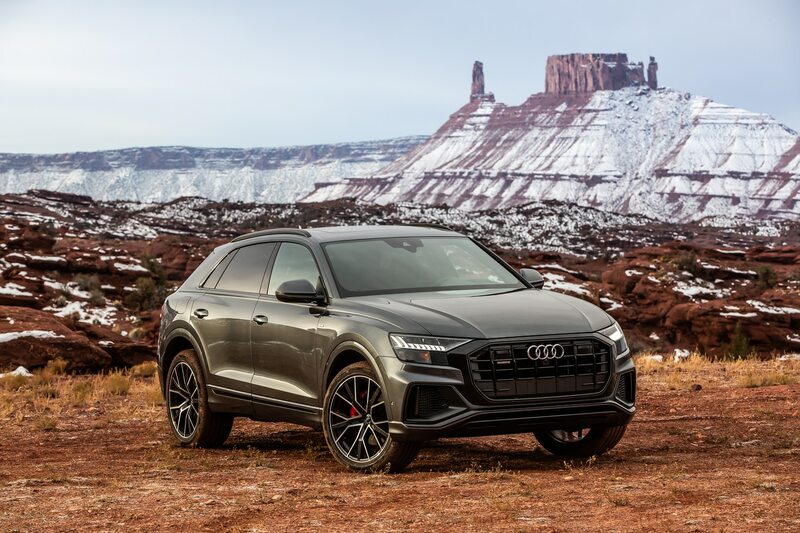 Audi has already said that its other SUVs will adopt the Q8’s front end, and while we’re sure the racy roofline and frameless doors will never make it to the family trucksters, there is a baby version, called Q4, on the way as well. 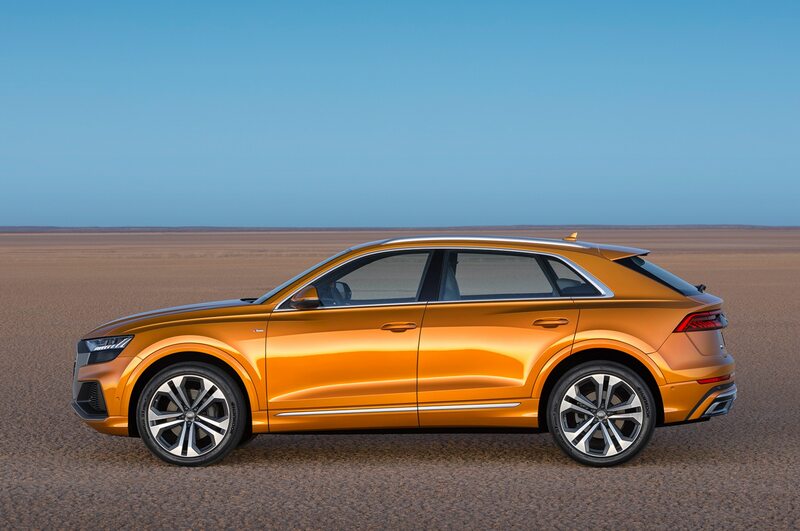 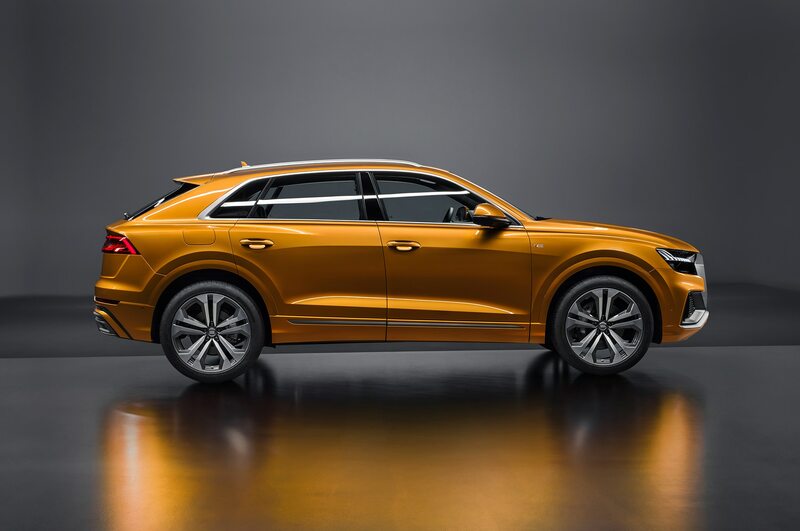 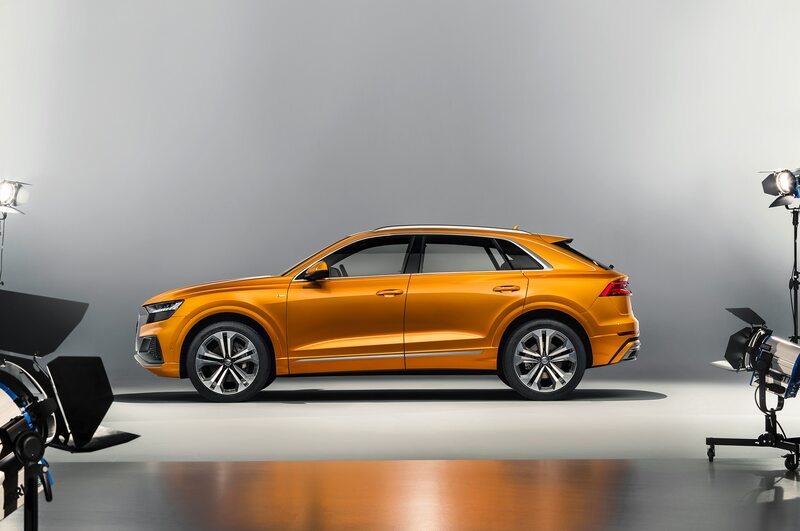 Audi is asking $68,395 for the base-model Q8, and while the long list of standard equipment list makes it a good value compared to the X6 and GLE Coupe, that’s a premium of nearly $14,000 over the larger Q7. 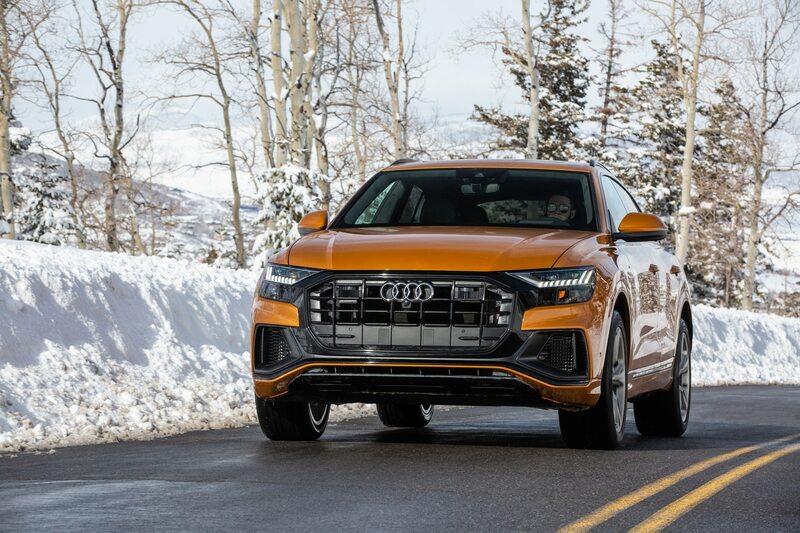 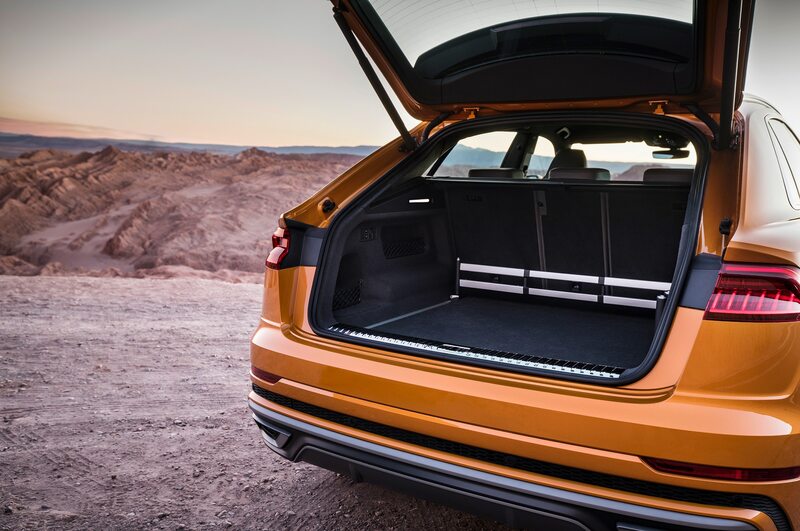 The Q8 is relying on its looks to earn that extra fourteen grand, and Audi needs to be careful that the upcoming versions of their SUVs don’t elbow in on the Q8’s territory. 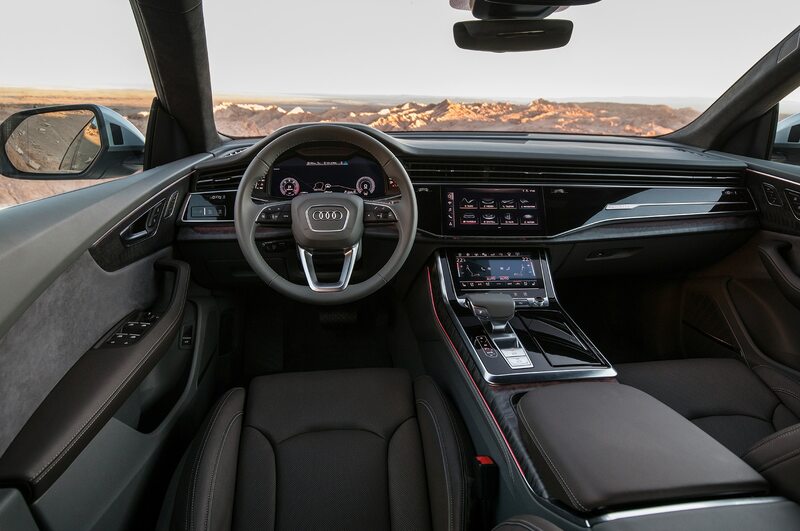 Granted, the A7 has managed to remain distinct from other Audi sedans, but that’s a harder trick to pull off with a two-box SUV. 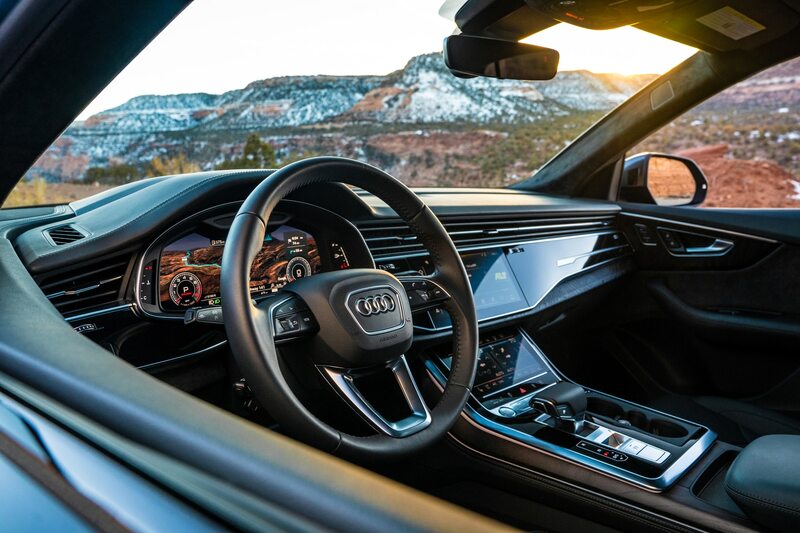 Still, while it’s still fresh and new, I like what the Q8 brings to the table: All the Audi goodness we’ve come to know and love in a package that stands out from the crowd. 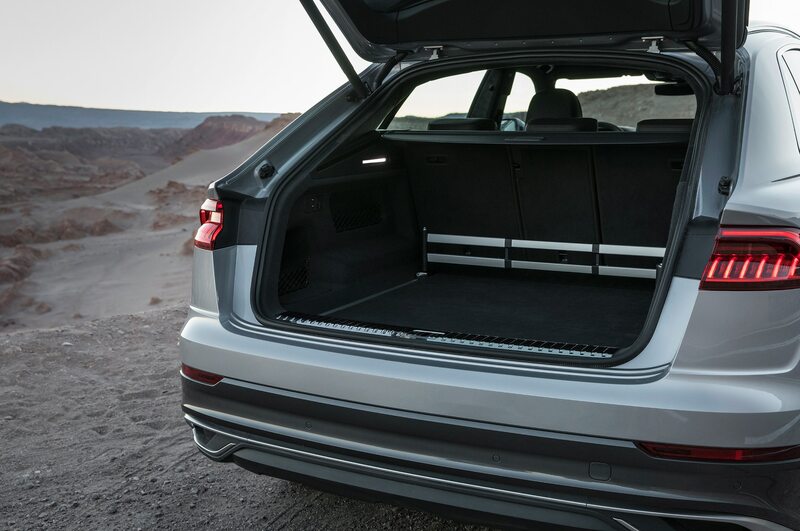 It has substance, and that alone makes it worth looking at—and we suggest you drive it, too.